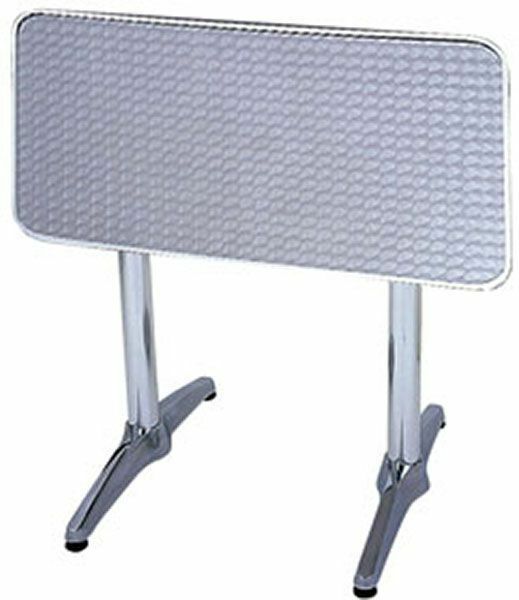 Top tilting Aluminium table base designed for use with rectangular tops up to a maximum size of 1400mm x 800mm. Easy to use mechanism this table base is available from stock for a fast and free delivery. The Barcelona aluminium folding table can also be used with other rectangular tops from our café table top section (link) up to a maximum size of 1400mm x 800mm. Normal delivery time fort the Barcelona rectangular aluminium table is 2-3 days from order.